Achieving effective lighting in photography does not always require an expensive lighting kit! 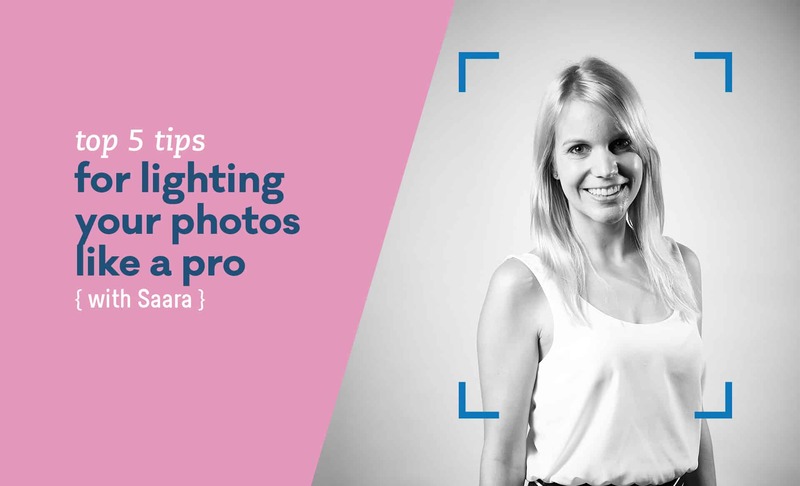 We turn to our photography pundit, Saara for a few quick lighting tips you can easily achieve using the resources around you. It’s cloudy outside, there’s hardly any sunlight! Can I still get good photos out of this situation? Yes, absolutely! Soft light, otherwise known as diffused lighting, it is best achieved outside on a cloudy day as the sun is diffused by the clouds. Diffused lighting softens the intensity of light, it is distributed across a subject evenly, without any hash shadows. As no exact line is defined between where the light and shadow begins, emphasis is therefore placed on the form of the subject within the scene. These are perfect conditions for shooting portraits, as nature is providing you your own personal soft box! Why wait till a cloudy day to achieve soft lighting? You can achieve the same effect inside by placing your subject to the side of a window on a sunny day. Diffused lighting can be achieved by hanging a white shower curtain or bed sheet across the window. Take it a step further by bouncing some light back onto the subject using a piece of white cardboard. What about on a bright sunny day? A bright sunny day produces specular light. Strong, defined shadows create high contrast between dark and light, resulting in a more graphic photograph. The trick to harsh lighting situations is to be aware of where the sun (or light source) is positioned and use this to your advantage. Experiment outside with the direction of the sun and your subject. Side lighting (face the sun and then turn 90 degrees away) is great for capturing texture. Back lighting is best for capturing form, whilst front lighting is best for capturing varied colour and tones. How can I take advantage of the light once the sun goes down? The ‘golden hour’ or ‘magic hour’ refers to the time when the sun is either rising or setting. As a the sun is sitting lower in the sky, the shadows it cast become longer and softer, making photographs more dynamic. The gradient of colours that can be achieved are stunning, whilst the sunlight casts a golden glow creating more warmth in photos. Subjects are able to face the sun without squinting, whilst a soft, flattering glow is cast across them. But be quick, the light changes quickly! So make sure you plan to arrive well before the sun is scheduled to rise or set to allow enough time for set up. Clouds also can cut 20 minutes of your shoot time as they tend to show up at the horizon. I want my pictures to feel a bit mysterious, how can I accomplish a moodier atmosphere? One of the most popular artistic lighting set ups with ample drama is low key lighting. It predominantly uses dark tones, casting light on only a small portion of the subject. Instead of avoiding shadows, low key lighting uses them as the hero. Try this at home between two rooms with a door between. Keep one room completely dark and position your subject and camera within this room. Turn on a bright light in the other room and face your subject towards this light. The trick is to experiment with the position of the door to filter the light onto the subject, highlighting your key areas of interest. I want to be a little bit experimental and more dramatic with my portraiture, what do you suggest? One of my favourite effects is achieved using split lighting. This effect splits the subject in two equal halves, half in light and half in shadow. There should be a strong defining line to separate the two. Split lighting can be used to add drama and is often used for portraits of artists and musicians. To create split lighting, your subject must be directly facing the camera with the light source at a 90 degree angle. The light source should be sitting around eye level, this could be a lamp or can also be achieved next to a window. If you don't see a strong dividing line between light and dark, your subject might be sitting on a slight angle, tweak their position so they are square to the camera.